Our vision is to create a space that is radically hospitable, and we need your help to do so! Join us in our efforts to reach the unchurched by volunteering. God has a way of using what we give for His Kingdom in powerful ways. Partner with us in our pursuit to impact the Shepherd's Grove community. On Sunday, January 27, 2019, we made history! 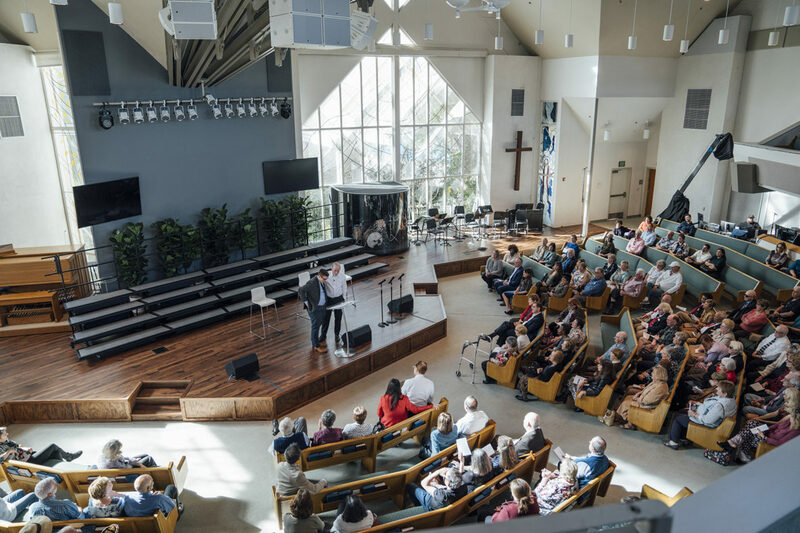 In a successful meeting of both congregations after the 11:00 a.m. worship service, Shepherd’s Grove and Irvine Presbyterian Church voted to become one Presbyterian congregation, which will be known as Shepherd’s Grove Presbyterian Church (SGPC). With the governing boards of each church in attendance, along with representatives from the Presbytery of Los Ranchos (PC-USA), and members and guests of both congregations, Pastor Chad Blake presented an overview that highlighted the financial and organizational impact of the merge. Pastors Tim McCalmont and Russ Jacobson were also present to provide input, and those in attendance were encouraged to ask questions. A dialogue ensued in which concerns were addressed, clarity was provided, and faith in Jesus’ plan for the future was affirmed. At the end of the meeting, in overwhelming majority, members of both congregations voted to approve the coming together of these two churches, each with its own legacy and strengths. Once the full agreement is approved by the Los Ranchos Presbytery next month, the merge could become official as soon as the beginning of March. Thank you for partnering with us in prayer and encouragement over the last year as we have worked through the details of this move. We are overwhelmed by what God has done and we are excited about the many great things that the future holds for the newly-formed SGPC. We believe this is the beginning of something great in the Kingdom of God and we look forward to sharing in it with you! If you have questions about the merge or would like to request a copy of the full merger agreement, feel free to email us. © 2018 BY SHEPHERD'S GROVE. ALL RIGHTS RESERVED.